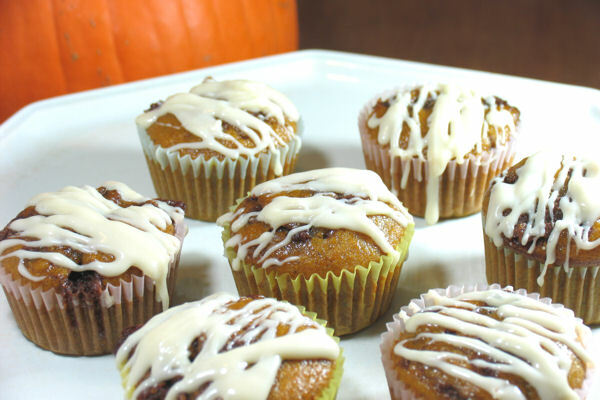 Pumpkin Cinnamon Roll Muffins, and an Anniversary! As seems to be the trend for the last few months, I’m behind. Apparently I hit one year of blogging last week! Whoops, but yay! It’s been quite an adventure… and I must say I didn’t have a good start. Somehow, I thought that people would somehow find my blog all on their own and I just had to sit back and write posts. Oh how wrong I was, and how much I’ve learned! I’ve met so many amazing bloggers over the last year, and I want to thank all of you for your support and kind words. Before I post a new recipe, I want to do a little recap of some of the top posts over the last year. 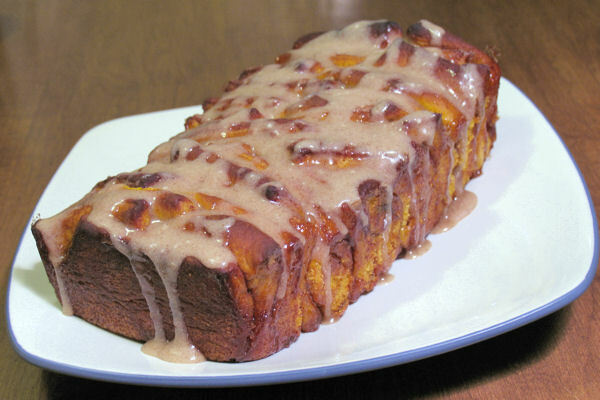 The most popular post was this awesome Pull-Apart Cinnamon Sugar Pumpkin Bread with Spiced Glaze, which was derived from the very popular cinnamon sugar pull-apart breads that swept the blogospere. 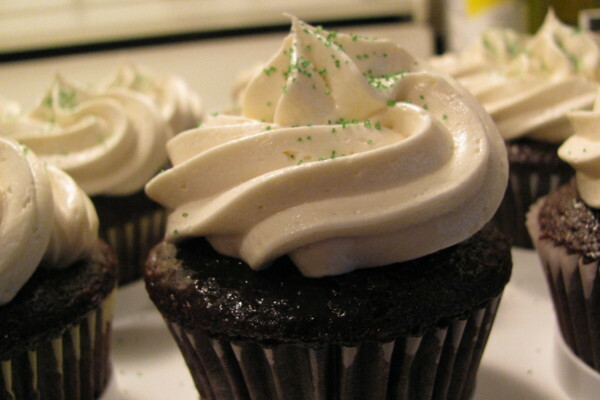 Surprisingly enough, the second most popular post was the very first post I ever made, these Chocolate Cupcakes with Baileys Buttercream. Just goes to show how great it is! 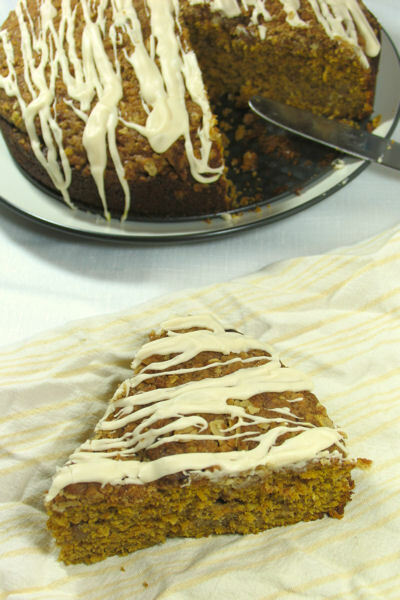 It’s also the first recipe that was shared on another blog! 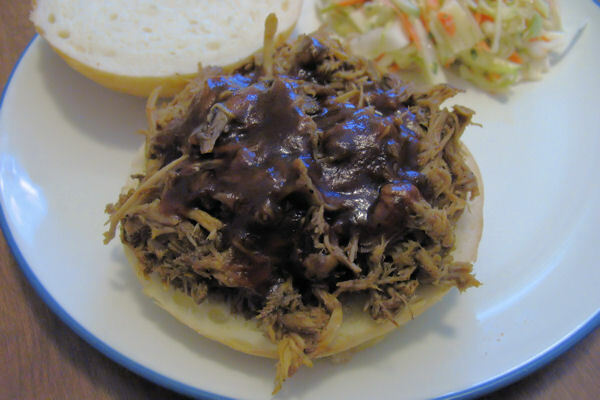 Third is Slow-Cooker Pulled Pork Sandwiches with Homemade Barbecue Sauce, because who doesn’t love pulled pork! 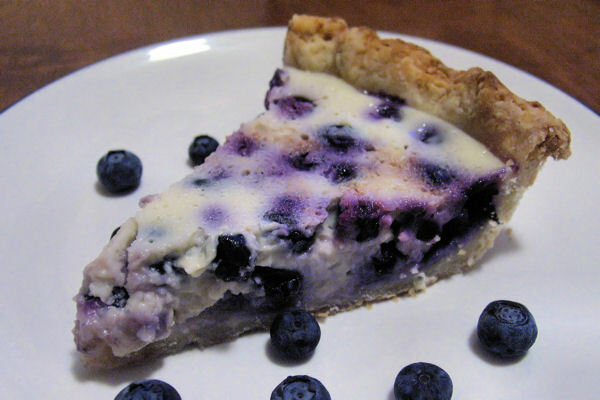 And fourth is Blueberry Sour Cream Pie, which was another surprising hit. I think I assumed this post was a more unique recipe and hence wouldn’t be as sought after, but maybe that was it’s appeal! Now before I bore you all to death, I just want to share a couple of my own favorites from this past year, which you might have overlooked or missed. 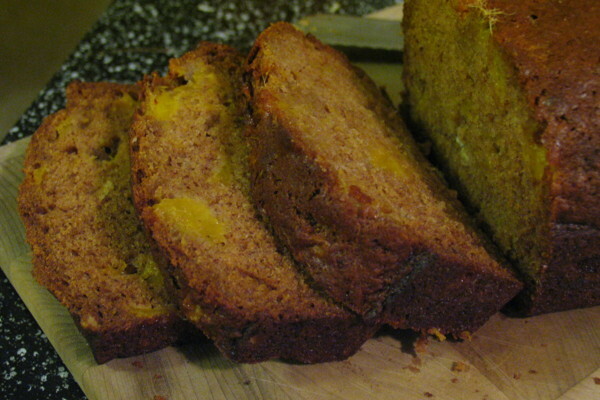 Mango Bread. 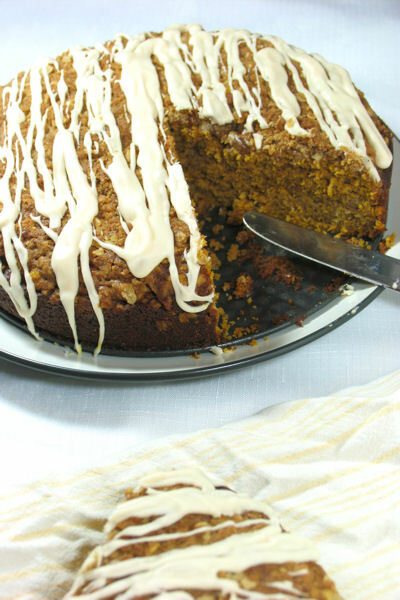 Tropical, moist, and oh so delicious! 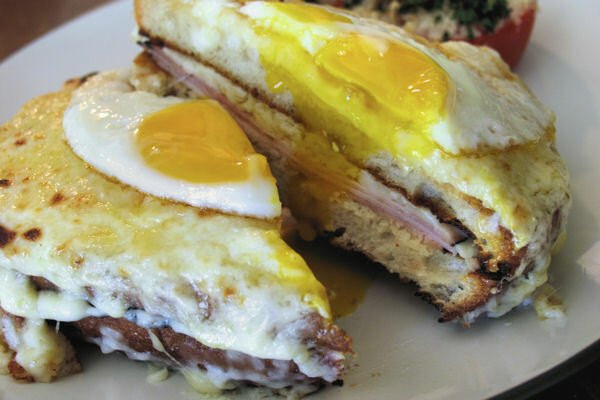 Croque Monsieur/Madame. Classic French food which makes for a simple yet indulgent meal. 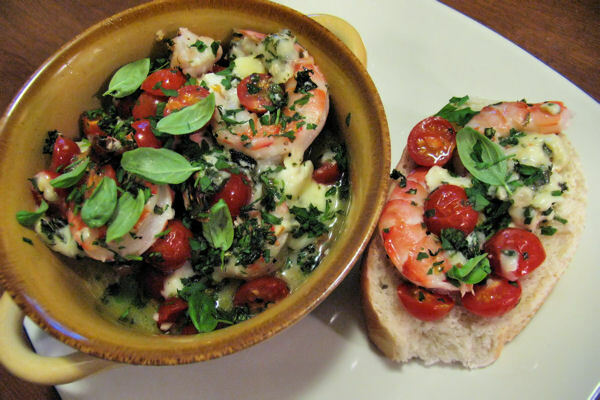 Broiled Shrimp with Tomatoes and Brie. Nuff said. You gotta try this!! Anyways, on to the main attraction! It may not be a very celebratory food, but I do love me some muffins! 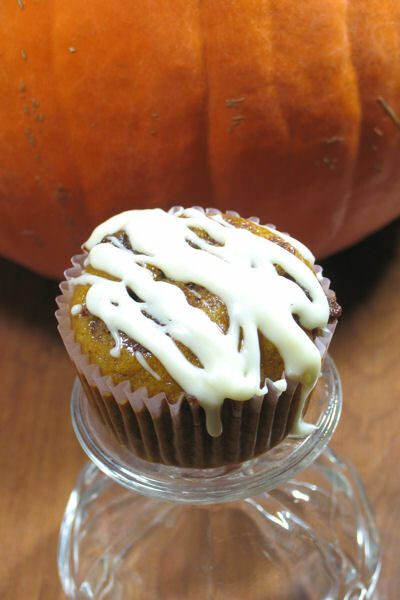 Yes it’s pumpkin, and yes it’s spring, but I believe I’ve mentioned before that I eat pumpkin year round. It’s a super tasty superfood! 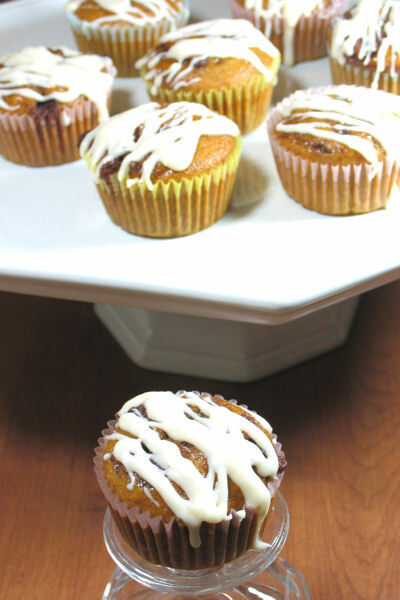 I made these muffins once before, following the original recipe exactly and making my own vanilla glaze. They were very good, but the muffin was a little too tender for my liking, and the glaze didn’t quite match up as I wanted. So, on to take two and I was in heaven! 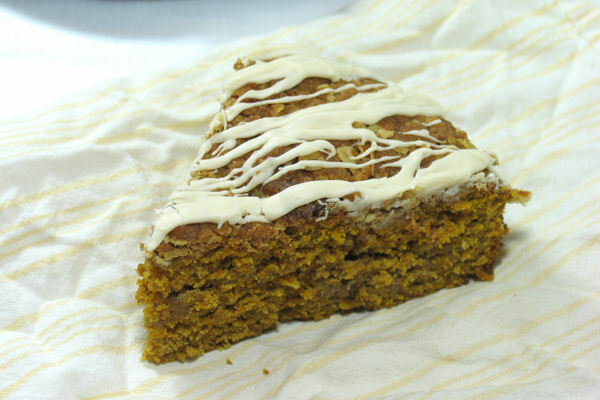 I used my go-to family recipe for pumpkin bread, which is a little sturdier of a bread. Topping was the same, since that was perfect the first time around. As for the glaze, a vanilla glaze didn’t quite seem right for a cinnamon roll muffin, so this time around I made a cream cheese glaze. Yum! So in conclusion, try these muffins and hurray for my first year blogoversary!! Preheat the oven to 350 degrees F. Line muffin tins with paper liners; set aside. To make the muffins: In a medium bowl, whisk together the flour, baking soda, salt, cinnamon, nutmeg, ground cloves, and ground ginger; set aside. 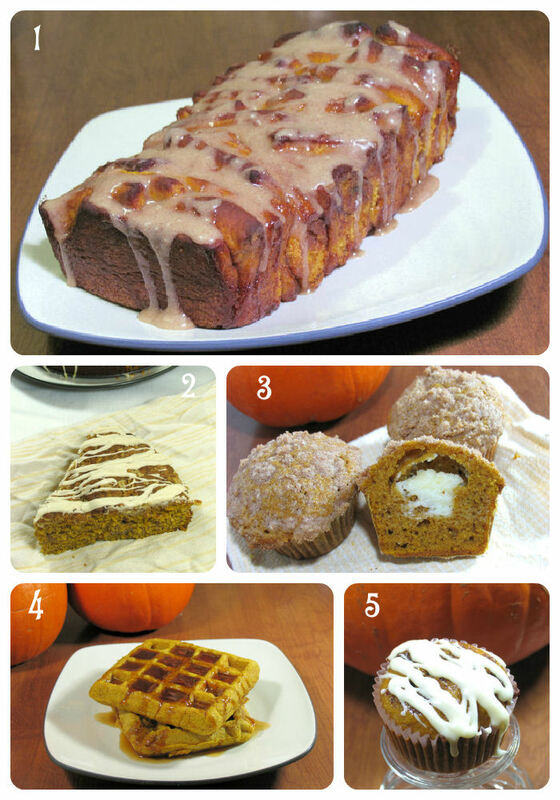 In a large bowl, combine the pumpkin puree, oil, water, eggs, and sugar. Slowly add the dry ingredients; mix until smooth. Split batter equally between prepared muffin tins, filling about ¾ of the way full. 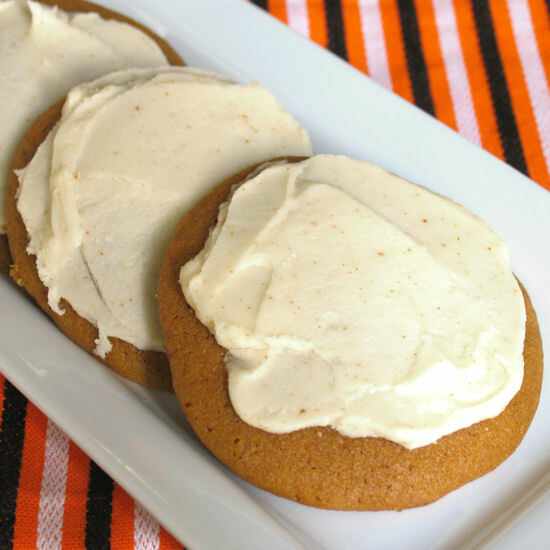 To make the topping: In a small bowl, combine butter, brown sugar, and cinnamon. Crumble on top of uncooked muffins and swirl into the batter. 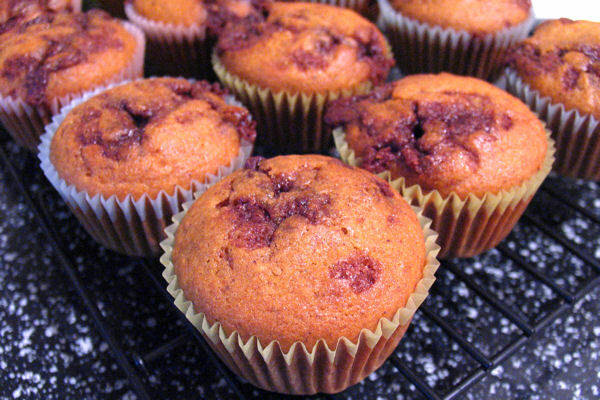 Bake the muffins for 17 to 20 minutes, or until a toothpick inserted into the center comes out clean. Move muffin pan to wire rack and cool for 5 minutes, then remove muffins and finish cooling on wire rack. To make the glaze: In a medium bowl, whisk or beat together the cream cheese and powdered sugar. Stir in the vanilla extract; stir in 1 tablespoon of milk, checking the consistency and adding more milk as needed. Drizzle the cooled muffins with desired amount of glaze. To make the streusel: In a medium bowl, whisk together the flour, oats, brown sugar, and cinnamon. Add the butter, and use a pastry cutter to work it into dry ingredients until the mixture resembles coarse crumbs; set aside while you make the batter. To make the cake: Preheat oven to 350 F. Spray a 9-inch springform pan with nonstick cooking spray. 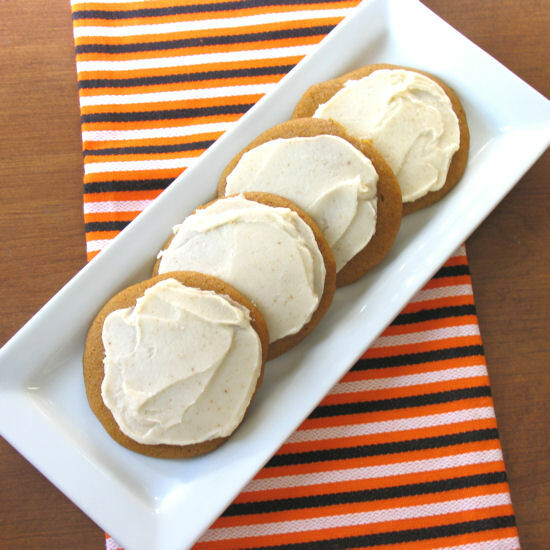 In a medium bowl, whisk the flour, baking powder, baking soda, cinnamon, ginger, nutmeg, cloves, and salt together. In a large mixing bowl, cream the butter and brown sugar on medium speed until light and fluffy, about 3 minutes. Add the eggs, one at a time, beating well after each addition, and scraping down the sides of the bowl as necessary. 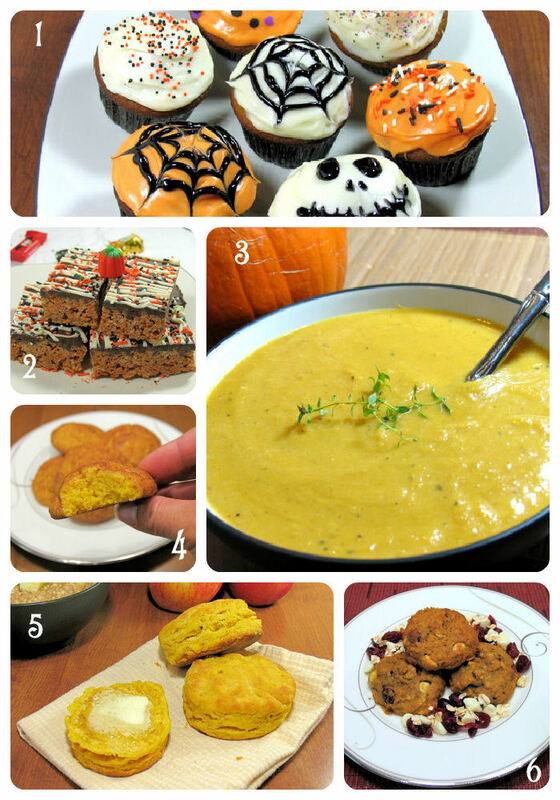 Add the pumpkin puree and beat until incorporated. Gradually add the dry ingredients, mixing at a low speed just until combined. Spread half of the batter in an even layer in the bottom of the prepared pan. Sprinkle half of the streusel mixture over the batter. Dollop the remaining batter over the streusel and use a spatula to spread it as best you can. Top with the remaining streusel. Bake the cake for about 45-50 minutes, or until a toothpick inserted in the center comes out clean. Transfer the pan to a wire rack and let cool for 15 minutes then remove the sides of the pan and let the cake cool completely. To make the glaze: Whisk the confectioners’ sugar, cream, and vanilla in a small bowl until the consistency is thick, but pourable; add more cream if a thinner consistency is needed. Drizzle over the top of the cake. Let the glaze set before serving. I had a very fun and successful day of holiday baking with my mom yesterday! We made our traditional array of cookies and goodies, including some new ones that we added this year. We made sugar cookies, cinnamon swirls, chocolate cherry thumbprints, melting moments, and pumpkin oatmeal cookies with cranberries and white chocolate. I have a list of cookies and candies I want to try this year, and hopefully they’ll be good enough to make the list for next year! 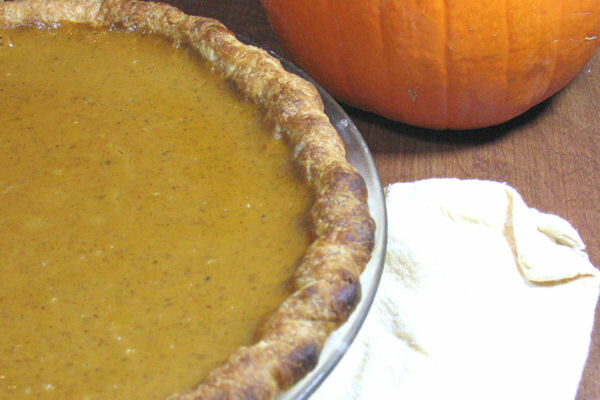 To prepare pie crust: Place rolled out pie crust in pie dish, leaving at least 1-inch overhang on each side. Ease dough into the plate by gently lifting the edge of the dough with one hand while pressing into the plate bottom with the other hand, making sure to not stretch the dough. Trim overhang to ½-inch beyond the plate rim. Fold overhang under itself onto the flat rim of the plate, and use a thumb and two index fingers to flute the crust. Refrigerate for 15 to 30 minutes. 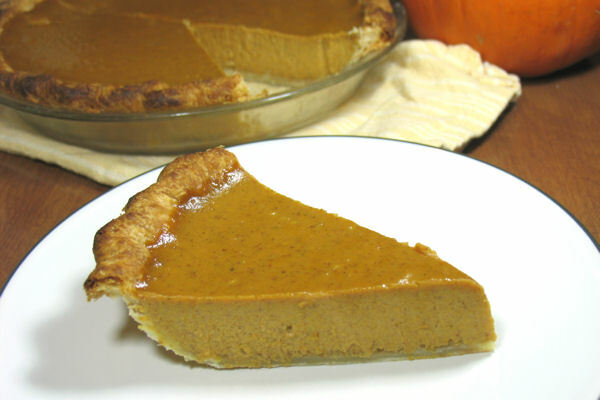 Preheat the oven to 425 degrees F. Remove pie pan from the refrigerator and prick with a fork. Line the crust with 2 pieces of foil, and fill with pie weights, dried beans or uncooked rice. Bake for 15 minutes. Remove foil and weights and bake for 5 to 10 minutes until crust is golden brown and crisp. 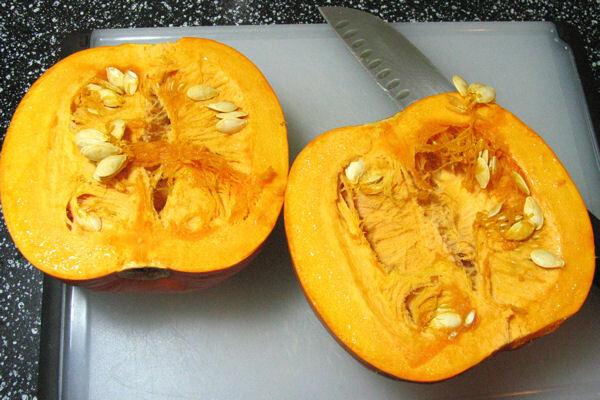 To make the filling: Lower the oven to 325 degrees F.
In a medium saucepan, combine the pumpkin and sugar. Cook over medium heat, stirring frequently, until the majority of the water has evaporated and the mixture has thickened, about 15 to 20 minutes. 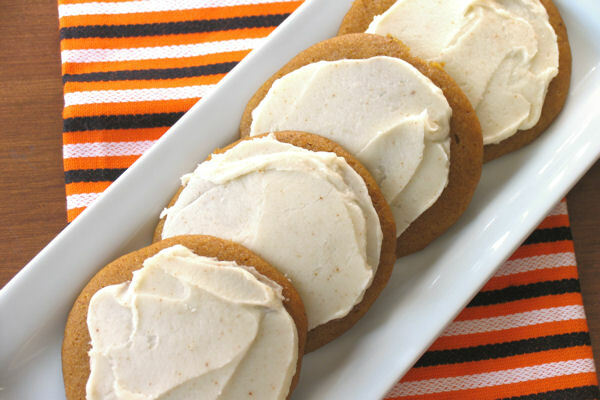 Remove from the heat and whisk in the cream, milks, vanilla, ginger, cinnamon, nutmeg, clove, and salt. Add eggs and yolk, and whisk until thoroughly combined. Pour the filling into the pie shell and bake until set, about 45 to 55 minutes. Cool and serve.